Zoom in on Feed the Future, the U.S. government’s global hunger and food security initiative, which leverages the strengths and resources of 11 federal departments and agencies to transform lives toward a world where people no longer face extreme poverty, undernutrition, and hunger. In July 2011, the Peace Corps and USAID signed the Global Food Security Agreement, a global partnership that facilitates implementation of activities in support of the U.S. government’s food security initiative. The goal? To sustainably reduce global hunger and poverty by tackling the root causes, employing proven strategies to achieve large scale and sustainable impact. Peace Corps Volunteers are the vehicles in helping do just that. Volunteers help combat food insecurity by working to improve availability, utilization and access. Since 2011, over 4,000 Volunteers from all six of the Peace Corps’ sectors have worked in 53 countries helping over 150,000 people and 7,000 households become more food secure. In other words, helping them have physical and economic access to safe, sufficient, and nutritious food, enabling them to be lead healthy, productive lives. By taking important food security messaging and practices to the grassroots level, Peace Corps Volunteers are facilitating sustainable change in how local people cultivate their food, address water shortages, and feed their families. As community mobilizers who have fully integrated into remote villages, Volunteers serve as a bridge between rural communities and Feed the Future programs. Some of the activities promoted by Peace Corps Volunteers include: climate-smart agriculture, school gardens, nutrition counseling, agribusiness and marketing skills, and food security youth clubs and camps. 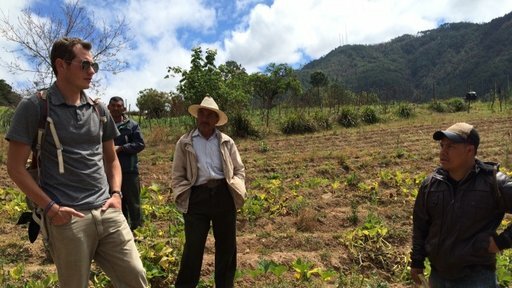 Peace Corps Response Volunteer Colby Branch supported climate-smart agriculture in Guatemala. Alongside partners and community members, Volunteers identify problems within their communities and then strategize to make a lasting change. Sometimes that comes in the form of climate-smart agriculture, introducing creative, local solutions to water problems and hosting trainings on improved techniques for preventing soil erosion, like what Peace Corps Response Volunteer Colby Branch did with farming cooperatives in Guatemala. Many Volunteers promote bio-intensive, permanent gardens, often called “permagardens,” that can produce nutritious food for the family throughout the year. For example, Volunteer Pete Isaac noticed that soil in Rwanda was often of poor quality because of extreme climate conditions and that a majority of plots were located far from homes. He helped his community build permagardens, assisting 30 households in becoming more food secure. Volunteers in other countries, including Ghana, are helping local schools plant gardens to diversify their school feeding programs. They’re building permagardens to ensure that lengthy dry seasons don’t get in the way of access to healthy food. 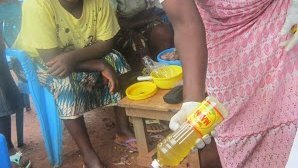 Volunteer Clare MacMillen in Cameroon worked with women to make organic pest repellents. In some communities, they aren’t able to afford pesticides and needing to purchase other tools can often be a barrier to growing ones’ own food and generating income. Volunteers, like Clare MacMillen in Cameroon, have been piloting projects that find innovative ways to make organic fertilizer, compost and pesticides and ensuring that the community can use local inexpensive ingredients to take care of their gardens. The results are quite remarkable: Since 2011, over 110,000 individuals have received short-term agriculture productivity or food security training, and more than 50,000 farmers have applied improved technologies and management practices on over 2,500 hectares of land. Deforestation presents serious challenges in many communities. In Senegal, Volunteers, recognizing the need for their communities to understand the dangers of deforestation – and the fact that trees provide food, rain, and increase soil health – conducted trainings for both older and younger generations. They taught children the role of trees in the water cycle, and encouraged them to speak up about the importance of forest health. They also worked with adults to extend techniques for sustainable charcoal and lumber production. To keep participants engaged, they have encouraged each village to put together an action plan explaining what they will do in the coming year. Students in Nepal pack out tree seedlings as part of a tree plantation project. 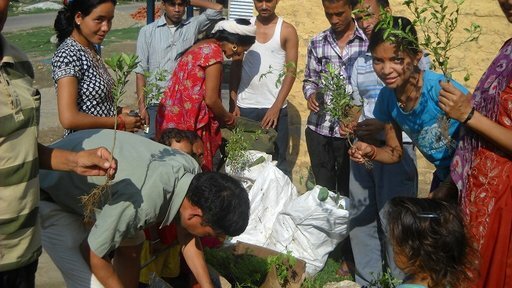 In Nepal, Peace Corps Volunteer Steven Fosher completed a tree plantation project in his community that reached 2,000 people, planting 12,000 trees. The purpose was to provide the community additional sources of nutrition and income, provide animal fodder, wood, and live fencing, and prevent erosion. Volunteers in every sector find that nutrition, especially for children, is a key concern in their communities. In order to provide them with the tools and guidance to confidently discuss nutrition with their community members, Peace Corps Benin, in partnership with John Snow, Inc., created the Essential Nutrition Actions training package. The training is meant for Volunteers from all sectors, so that nutrition messaging can be incorporated into any activity, ultimately reaching more people. Volunteers and Peace Corps staff adapt the tools to their work and the specific needs of their communities. To make materials more accessible to community members, they’ve even been translated into local languages. In Malawi, introducing a staple food that wasn’t necessarily regarded as common, helped a community fight hunger. Peace Corps Volunteers like Robyn Fernando promoted vitamin A-rich orange-fleshed sweet potatoes by introducing them in their communities. They worked to teach the communities their nutritional value and how they could introduce the vegetable into their diets. Vitamin A deficiency is endemic in many developing areas in Sub-Saharan African and is a leading contributor to blindness, disease, stunted growth and premature death in young children and pregnant women. So teaching moms that a medium-sized orange-fleshed sweet potato is enough to keep Vitamin A deficiency at bay for most children, was also something they made sure to do. Volunteers also showed farmers how to re-use the leftover vines and replant them so another round of sweet potatoes could be harvested a few months later. All of these combined efforts have led to impressive results: Since 2011, more than 90,000 caregivers have been trained in child health and nutrition and over 35,500 children under the age of 5 have been reached through nutrition programs. 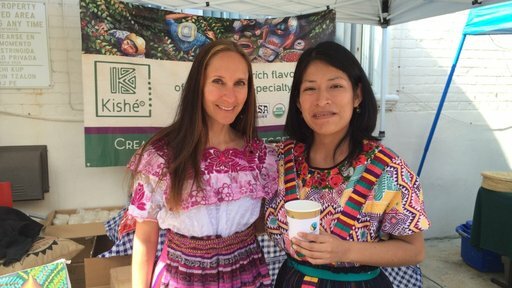 After having served in the Peace Corps in the ‘90s, Lilly Acuña served again as a Peace Corps Response Volunteer in Guatemala. During her service, she was able to help her community think of additional ways to ensure their food security. Coffee, their primary focus, was great but they needed something else as coffee beans is only harvested once a year. Introducing things such as: bio-factories, crop diversification through beekeeping, and breeding goats helped contribute to food security and support sustainable growth. Volunteers, such as Alex Meckley in Cameroon, have worked with farmers on gardening projects teaching them how to make and use organic fertilizer and pesticides, manage a garden in the dry season, keep records, market their products, and review the benefits of saving profits and planning for the future. Trainings like these have become a great source of additional income for community members, as they are able to sell the products they grow while making sure they have enough food to feed their families. For women, these acquired skills can also mean a new-found respect from their community (especially amongst the men). The results, again, are impressive: Since 2011, more than 950 micro, small, and medium enterprises (including farmers) have received agricultural-related credit. In addition, more than 4,500 private enterprises, associations, and organizations received food security-related organizational development assistance. Peace Corps Volunteers are trained to use a gender lens in assessing community needs and planning activities. Through integrating gender considerations into food security activities, Volunteers engage with community members to improve women’s access to resources, increase women’s input into productive decisions , and ultimately empower communities with the skills and knowledge to embrace positive and healthy gender norms. Camp GLOW students and a teacher showcase their work in the school garden in The Gambia. In 2014 alone, 704 Volunteers supported women in agriculture through training and assisting with new technologies. In addition, 366 Volunteers worked to increase women’s capacity in gardening, and 1,048 Volunteers engaged women in nutrition practices. From expanding women’s small businesses in Ghana, to training women’s groups in animal husbandry in Burkina Faso, the impact of Peace Corps Volunteers working in the field and in their communities is palpable. To engage youth, many Peace Corps Volunteers implement a six-day food security and social justice camp, called Girls and Guys Reimagining Our World (GROW). Peace Corps Volunteers in the Palpa District of Nepal hosted such a camp in 2016. The interactive trainings dealt with topics ranging from healthy cooking competitions and agriculture trainings, to social trainings on leadership and equality. Sessions ended with land management training and the students creating action plans for how to bring their new knowledge and skills back to their communities. 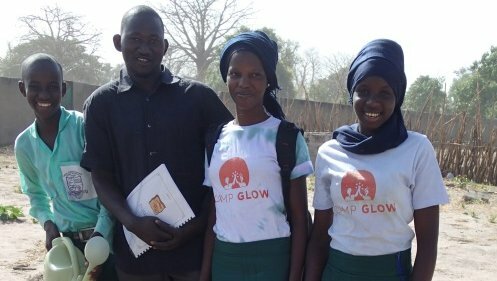 In The Gambia, the Camp GLOW (Girls Leading Our World) team brought together 23 boys and girls from six senior secondary schools for a week-long overnight camp. They educated participants on gender equality, healthy lifestyles, nutrition, gardening, and leadership, with the expectation that the participants would take this knowledge back to their communities. In just one month, they taught over 1,350 students about gender roles and food security and trained over 300 students in new gardening techniques such as double digging and organic pesticides. Throughout the world, but especially in the Feed the Future countries, Peace Corps Volunteers work at the grassroots level, partnering with community members, to achieve sustainable improvements in food security. Volunteers work to empower every member within a community to try evidence-based practices and become agents of change. It’s like the saying goes: teach a man to garden and he will never go hungry… or something like that.